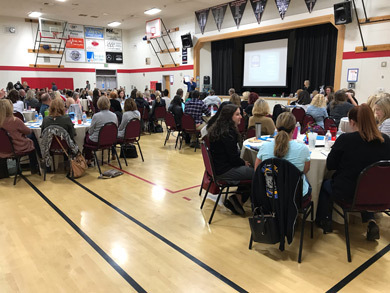 PUSD District team members and others take part in the Trauma Informed Practices training at Markham Middle School. Chris’ strong commitment to spreading awareness about this crucial topic lead her to sponsor Judy Knapp, Director of Prevention Works and Co-founder of El Dorado ACES Collaborative, and they presented jointly on the importance of trauma-informed and social-emotional practices at the California School Board Association’s conference held at the beginning of December. Chris looks forward to supporting this work across El Dorado County and the state.